Dub Colossus, with their powerful and complementary influences from Ethiopia, the UK and Jamaica, have established themselves as major figures since the release of their first album, ‘A Town Called Addis’ in 2008. Their style is quite distinct, blending elements of reggae, ska, jazz and roots music with an African feel that sets them apart from their contemporaries. This new single, ‘Madmen’, deals lyrically with themes of economic and technological uncertainty, set on top of a ska rhythm. The strong brass instrumentation holds the track together and, if it is reminiscent of anything, the brass sound of ‘Ghost Town’-era Specials (and the mood) would be a reasonable comparison. But ‘Madmen’ is a strong and melodic song in its own right. It is also quite immediate in its impact, hence those who were not encouraged by the earliest Dub Colossus music will find something more to appreciate here. At the time of writing, the song can be heard and, according to the band website, downloaded here: http://www.dubcolossus.org/ (as always, reggaemusic.org.uk is not responsible for any external links/downloads). Dub Collosus are fronted by multi-instrumentalist and composer Nick Page (aka Dubulah) who also makes his vocal debut on ‘Madmen’. He started out by working with reggae pioneer Mykaell S Riley (Steel Pulse) and with Winston Blissett (Massive Attack). After collaborating with a number of international (and quite diverse) artists, he travelled to Africa in 2006 where, taking in further musical influences, he met female vocalists Tsedenia Gebremarkos and Sintayehu ‘Mimi’ Zenebe and formed Dub Colossus. (Incidentally, for a fine retro performance by Dub Colossus have a listen to their 2011 EP ‘Rockers Meet Addis Uptown’ where their take on ‘Up Town Top Ranking’ is an excellent demonstration that something more could after all be added to that great old song). ‘Madmen’ is taken from Dub Colossus’ fourth studio album, ‘Addis to Omega’, due for release by IRL (Independent Records Limited) on 9th June 2014. Ah, bicycles. A topic not unfamiliar in popular music from Queen through to Melanie (although admittedly rollerskates also featured prominently in the latter case.) The list could go on but it would only get worse: the Mixtures or Engelbert Humperdinck (bicyclettes indeed). But it must be said that the bicycle has yet to find its proper role within reggae music. 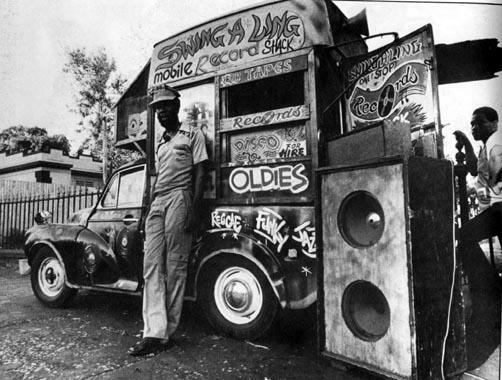 This glaring omission has now been addressed by Glasgow’s own favourite sound system, Mungo’s Hi-Fi, who are back on the web pages of reggaemusic.org.uk with ‘Bike Rider’. The track is taken from Mungo’s forthcoming album ‘Serious Time’, due for release on 2nd June 2014. The album as a whole promises vocal appearances from guests including Soom T, Peter Metro and no less than Cornel Campbell. Meantime, ‘Bike Rider’ is the characteristic dub-laden Mungo sound, with the production clear and creative throughout, and a deep and powerful bass providing the foundation for the driving rhythm track and the guest vocals from French dubber Pupajim. ‘I don’t need no gasoline with my bicycle machine’. Exactly.